December 5, 2018 The Coast Guard will permit tankers with automatic pilot systems that meet certain international standards to operate using those systems in shipping safety fairways and traffic separation schemes specified in 33 CFR parts 166 and 167, respectively. This final rule removes the previous regulatory restriction, updates the technical requirements for automatic pilot systems, and promotes the Coast Guard’s maritime safety and stewardship (environmental protection) missions by enhancing maritime safety. The incorporation by reference of certain publications listed in the rule is approved by the Director of the Federal Register on December 5, 2018. 83 FR 55272, (November 5, 2018), (USCG-2015-0926). 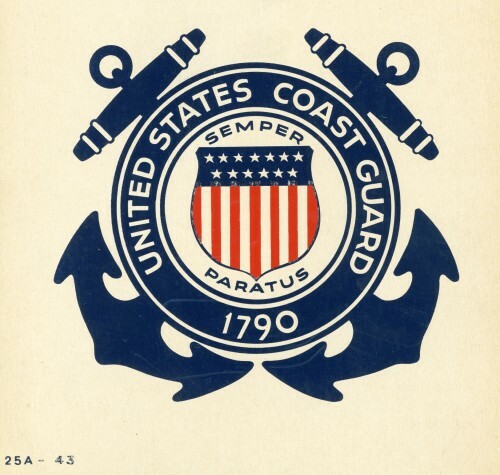 December 10, 2018 In compliance with the Paperwork Reduction Act of 1995, the U.S. Coast Guard intends to submit the ICR entitled “Report of Oil or Hazardous Substance Discharge; and Report of Suspicious Maritime Activity” to the Office of Management and Budget, Office of Information and Regulatory Affairs requesting approval for reinstatement, without change to the ICR. Comments accepted. 83 FR 55909, (November 8, 2018), (USCG-2018-0282). December 24, 2018 In compliance with the Paperwork Reduction Act of 1995, the U.S. Coast Guard intends to submit the ICR entitled “Shipping Articles” to the Office of Management and Budget, Office of Information and Regulatory Affairs requesting an extension of their approval. Comments accepted. 83 FR 53642, (October 24, 2018), (USCG-2018-0790). December 19, 2018 In compliance with the Paperwork Reduction Act of 1995, the U.S. Coast Guard is forwarding the ICR entitled “Official Logbook” to the Office of Management and Budget, Office of Information and Regulatory Affairs requesting approval for reinstatement, without change to the ICR. Comments accepted. 83 FR 58268, (November 19 2018), (USCG-2018-0791). December 20, 2018 In compliance with the Paperwork Reduction Act of 1995, the U.S. Coast Guard is forwarding the ICR entitled “Ballast Water Management for Vessels with Ballast Tanks Entering U.S. Waters” to the Office of Management and Budget, Office of Information and Regulatory Affairs requesting an extension of approval for the ICR. Comments accepted. 83 FR 58587, (November 20 2018), (USCG-2018-0789). December 21, 2018 In compliance with the Paperwork Reduction Act of 1995, the U.S. Coast Guard is forwarding the ICR entitled “Title 46 CFR Subchapter Q: Lifesaving, Electrical, Engineering and Navigation Equipment, Construction and Materials & Marine Sanitation Devices” to the Office of Management and Budget, Office of Information and Regulatory Affairs requesting an extension of approval for the ICR. Comments accepted. 83 FR 58780, (November 21 2018), (USCG-2018-0792). December 24, 2018 In compliance with the Paperwork Reduction Act of 1995, the U.S. Coast Guard intends to submit the ICR entitled “Outer Continental Shelf Activities—Title 33 CFR Subchapter N” to the Office of Management and Budget, Office of Information and Regulatory Affairs requesting approval for reinstatement, without change to the ICR. Comments accepted. 83 FR 59392, (November 23, 2018), (USCG-2018-0279). December 31, 2018 In compliance with the Paperwork Reduction Act of 1995, the U.S. Coast Guard intends to submit the ICR entitled “Voyage Planning for Tank Barge Transits in the Northeast United States” to the Office of Management and Budget, Office of Information and Regulatory Affairs requesting an extension of approval for the ICR. Comments accepted. 83 FR 54606, (October 30, 2018), (USCG-2018-0879). January 14, 2019 The Coast Guard is seeking comments from the public regarding the draft Merchant Mariner Medical Manual. The guidance in this Manual should assist medical practitioners, the maritime industry, individual mariners, and Coast Guard personnel in evaluating a mariner applicant’s physical and medical status to meet the requirements of the merchant mariner medical certificate. This draft Commandant Instruction Manual incorporates and consolidates prior guidance on the medical evaluation of merchant mariners contained in several Coast Guard documents. The Manual includes guidance on the medical certificate and related processes, including procedures for application, issuance, and cancellation of the medical certificate. Comments accepted. 83 FR 56272, (November 13, 2018), (USCG-2018-0041). January 18, 2019 In compliance with the Paperwork Reduction Act of 1995, the U.S. Coast Guard intends to submit the ICR entitled “Requirements for the Use of Liquefied Petroleum Gas and Compressed Natural Gas as Cooking Fuel on Passenger Vessels” to the Office of Management and Budget, Office of Information and Regulatory Affairs requesting an extension of approval for the ICR. Comments accepted. 83 FR 58269, (November 19, 2018), (USCG-2018-1043). January 18, 2019 In compliance with the Paperwork Reduction Act of 1995, the U.S. Coast Guard intends to submit the ICR entitled “Plan Approval and Records for Vital System Automation” to the Office of Management and Budget, Office of Information and Regulatory Affairs requesting an extension of approval for the ICR. Comments accepted. 83 FR 58270, (November 19, 2018), (USCG-2018-0882). January 18, 2019 In compliance with the Paperwork Reduction Act of 1995, the U.S. Coast Guard intends to submit the ICR entitled “Vessel Identification Systems” to the Office of Management and Budget, Office of Information and Regulatory Affairs requesting an extension of approval for the ICR. Comments accepted. 83 FR 58271, (November 19, 2018), (USCG-2018-1042 ). January 22, 2019 In compliance with the Paperwork Reduction Act of 1995, the U.S. Coast Guard intends to submit the ICR entitled “Mandatory Ship Reporting System for the Northeast and Southeast Coasts of the United States” to the Office of Management and Budget, Office of Information and Regulatory Affairs requesting an extension of approval for the ICR. Comments accepted. 83 FR 58585, (November 20, 2018), (USCG-2018-1044). December 5, 2019 The Towing Safety Advisory Committee will meet, via teleconference, to discuss the three current tasks assigned to the Committee. The Committee is expected to receive the final reports from the Subcommittee on Load Line Exemption for River Barges on Lakes Erie and Ontario. The Subcommittees on Implementation of Subchapter M and Towing of Liquefied Natural Gas Barges are expected to provide an update on their work. The teleconference will be open to the public. The full Committee will meet via teleconference from 1:00 p.m. until 3:00 p.m. 83 FR 58586, (November 20, 2018), (USCG-2018-0050).